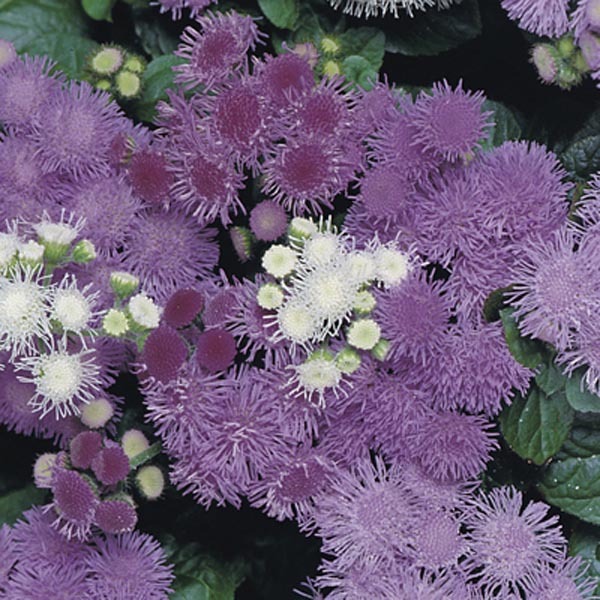 Heat tolerant and attractive to butterflies, Ageratum are perfect for bringing long lasting color and definition to summer containers and garden beds. Dainty, flossy blooms form mounds of soft color and texture perfect for combining with trailing and spiky, upright annuals. Perfectly sized for rock gardens and border fronts. Superb for baskets, containers and window boxes. Wonderful for combination plantings. A heat tolerant selection. Plant in fertile, well-drained soil. Water as needed to keep soil evenly moist, especially in hot weather. Remove faded flowers for best display.